We’re sneaking around and making his Father’s Day Gift. Below, I’m showing you just one part of the entire gift we’re planning. The big gift is a diy whiteboard, that we made from an old frame — more on that later. (The man at the frame store who helped me put the “Pins” in said it was ingenious, and wanted the gift for himself…) Dad also needs a place to hold his new dry-erase markers, right? This vase was leftover from an paperwhites package. It was simply collecting dust on a shelf. 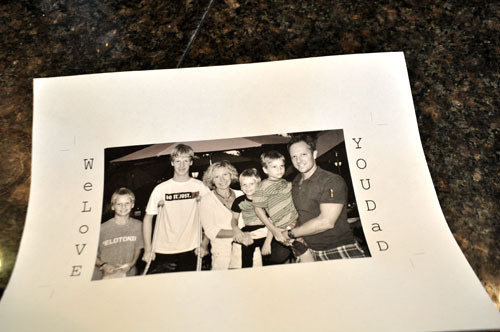 I printed this picture from the printer… after adding the words, “WE LOVE YOU DAD” to the sides. 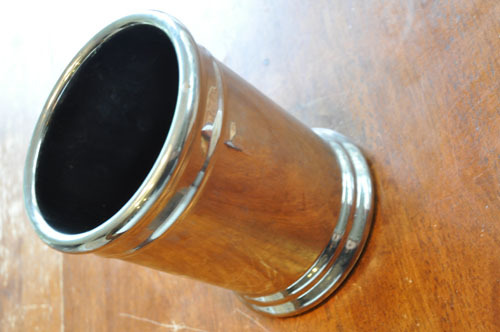 The vase is about 4 inches tall, so I scaled the picture to 4×6 inches. 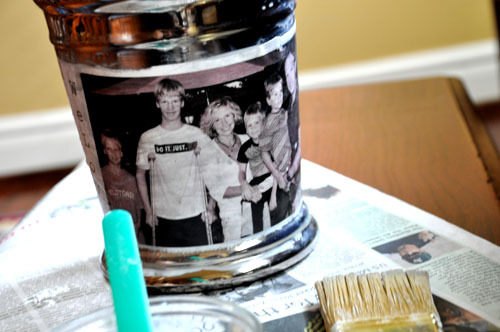 After cutting the excess paper from the photo, the boys mod podged the picture to the vase. A perfect place for Dad to store his dry-erase markers. Soon, I’ll show you the diy on his whiteboard. Total Cost for the project was free… all of the supplies were stuff I already had. Recipe for blueberry cornmeal pancakes. SO cool. I love the creative, recycling thing!